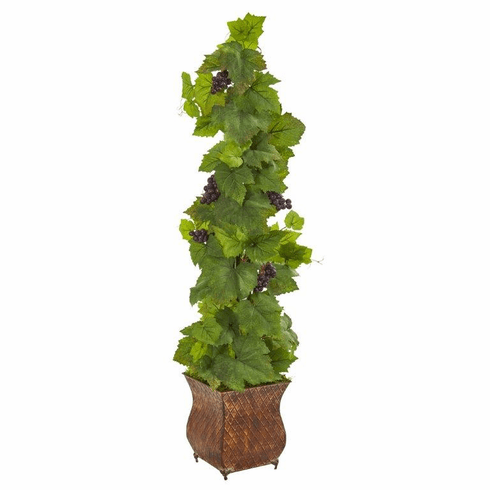 The dark purple grapes of this artificial grape plant serve as a lovely accent to the equally dark green foliage that encompasses it. Situated in a square metal planter, it's a great choice to add some island flair to your kitchen countertop, island, or bar -- but don't stop there! You can add other artificial greenery and fruit, like a banana tree for a complete look. Size: Height: 4 Ft., Width: 13 In., Depth: 13 In.